To claim this profile, please confirm you are David De Santiago. To follow this profile, please let us know your relationship to David De Santiago. RESULTWin Varsity baseball vs. Chaparral. The Santa Teresa varsity baseball team won Tuesday's home conference game against Chaparral (NM) by a score of 9-0. 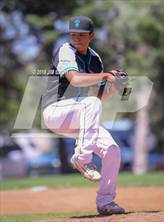 The Santa Teresa varsity baseball team won Tuesday's home conference game against Chaparral (NM) by a score of 12-1. RESULTWin Varsity baseball @ Silver. The Santa Teresa varsity baseball team won Thursday's away conference game against Silver (Silver City, NM) by a score of 12-0. The Santa Teresa varsity baseball team won Thursday's away conference game against Silver (Silver City, NM) by a score of 6-0. RESULTWin Varsity baseball vs. Cathedral. The Santa Teresa varsity baseball team won Tuesday's home non-conference game against Cathedral (El Paso, TX) by a score of 5-0. RESULTWin Varsity baseball @ Gadsden. The Santa Teresa varsity baseball team won Tuesday's away non-conference game against rival school Gadsden (Anthony, NM) by a score of 5-0. RESULTLoss Varsity baseball vs. Roswell. The Santa Teresa varsity baseball team lost Saturday's neutral tournament game against Roswell (NM) by a score of 6-1. RESULTWin Varsity baseball @ Artesia. The Santa Teresa varsity baseball team won Friday's away tournament game against Artesia (NM) by a score of 6-2. RESULTWin Varsity baseball vs. Los Alamos. The Santa Teresa varsity baseball team won Thursday's neutral tournament game against Los Alamos (NM) by a score of 4-0. RESULTLoss Varsity baseball vs. St. Pius X. The Santa Teresa varsity baseball team lost Saturday's neutral non-conference game against St. Pius X (Albuquerque, NM) by a score of 11-2. The Santa Teresa varsity baseball team won Friday's away tournament game against Silver (Silver City, NM) by a score of 13-0. RESULTWin Varsity baseball vs. Los Lunas. The Santa Teresa varsity baseball team won Thursday's neutral non-conference game against Los Lunas (NM) by a score of 1-0. RESULTLoss Varsity baseball vs. Deming. The Santa Teresa varsity baseball team lost Friday's home non-conference game against Deming (NM) by a score of 8-3. RESULTLoss Varsity baseball @ Alamogordo. The Santa Teresa varsity baseball team lost Tuesday's away non-conference game against Alamogordo (NM) in extra innings by a score of 4-3. The Santa Teresa varsity baseball team lost Tuesday's away non-conference game against Alamogordo (NM) by a score of 6-2. David's baseball stats have been updated for the win vs. Gadsden. RESULTWin Varsity baseball vs. Gadsden. The Santa Teresa varsity baseball team won Friday's home non-conference game against rival school Gadsden (Anthony, NM) by a score of 10-0. David has been added to the Santa Teresa baseball roster. David had 5 photos tagged from the game against Albuquerque Academy.